I am relatively new to the coffee drinking scene. Somehow I managed to survive the first three years of Evie’s life without coffee. But now things are different, it didn’t take long for me to become a “don’t talk to me before I’ve had my coffee” person. 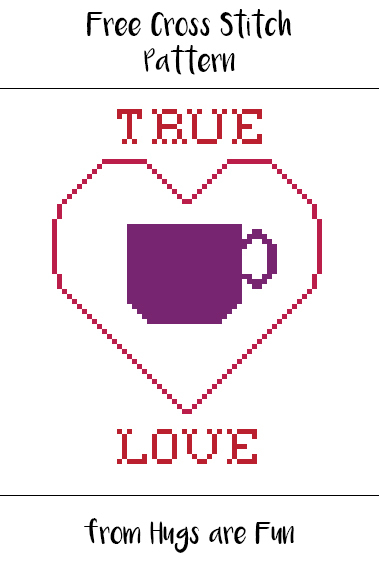 My Tea Love cross stitch pattern is consistently my most popular, so I figured I would expand the caffeine love to coffee. When stitched on 14 ct Aida the final piece is about 5.5″ so it should fit into a 6″ hoop.